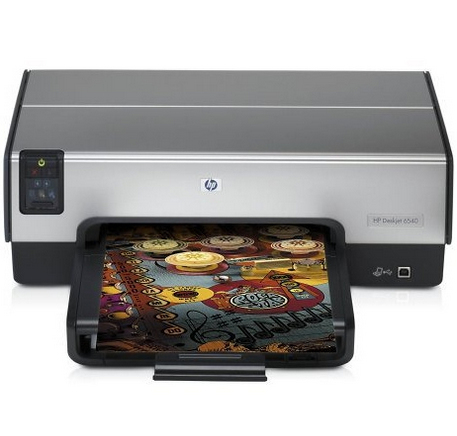 C8963B HP Deskjet 6540 Color Inkjet Printer - Refurbished with 6 months Return To Base Warranty & Working Consumables. 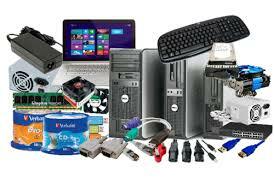 The HP Deskjet 6540 Color Inkjet Printer is as good as buying new as all worn parts are replaced. This saves you up to 50% off the price of a brand new printer. We are confident that you will be 100% satisfied with your HP Deskjet 6540 Color Inkjet Printer and are here to help with any support questions you may have. The Manufacturers part number/product code for this item is: C8963B. This high performance printer offers breakthrough print speeds of up to 30 ppm black and up to 20 ppm colour. It also delivers the ability to produce professional quality photos at up to 4800-optimised dpi - with or without borders - in any size up to large panorama (215 x 610 mm). Select your print quality/speed settings in an instant via front panel touch-button controls, and choose from a range of optional accessories to customise your printer to your precise requirements. Control panel Advanced control panel with print mode selector button, print cancel button and ink level indicator. Service & support One-year limited hardware warranty backed by HP Customer Care, service and support.